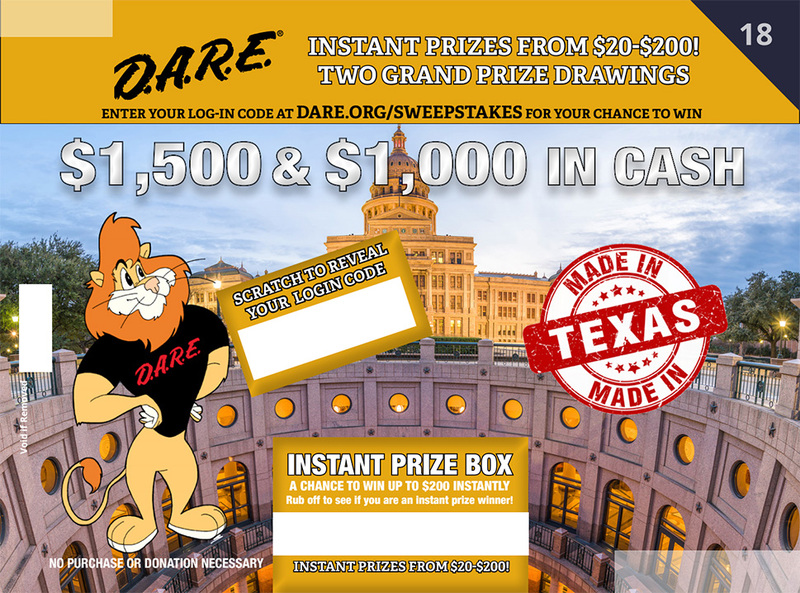 Enter the code located in the center box of your D.A.R.E Scratcher card. Have more codes? Enter them above. Click Register My Codes below to continue! If you have any difficulty entering your ticket information, please use this alternative form to enter your name for the drawings. Looking to find a D.A.R.E. Scratch and Win location? NO PURCHASE OR DONATION NECESSARY TO ENTER.